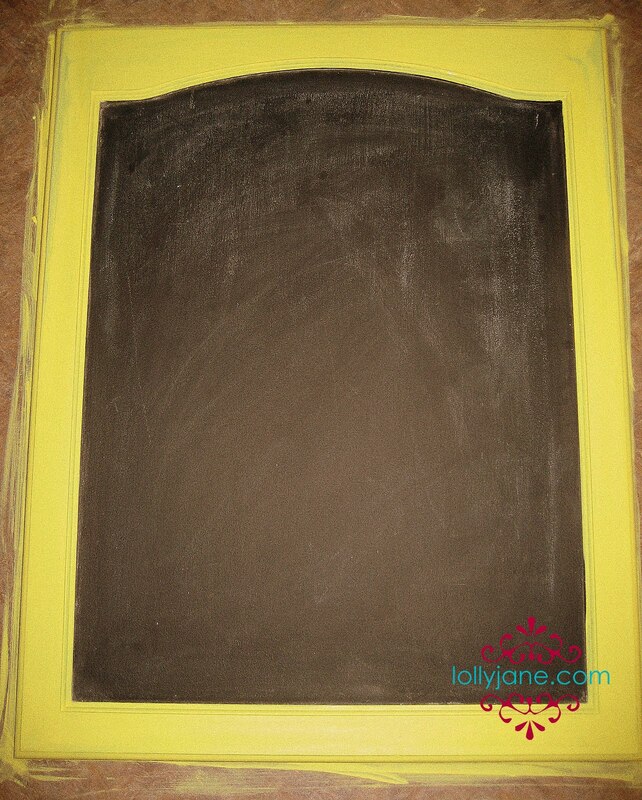 Bulletin board chalkboard aka chalkboard with a twist! Our cute cousin got hitched this weekend and we love giving handmade gifts instead of something they’ll return from the registry. Are we right or what?! This cousin has an apple theme in her house and loves yellow. We thought it’d be cute to combo the two and give her a functional yet adorable gift: a cupboard door chalkboard with a twist! 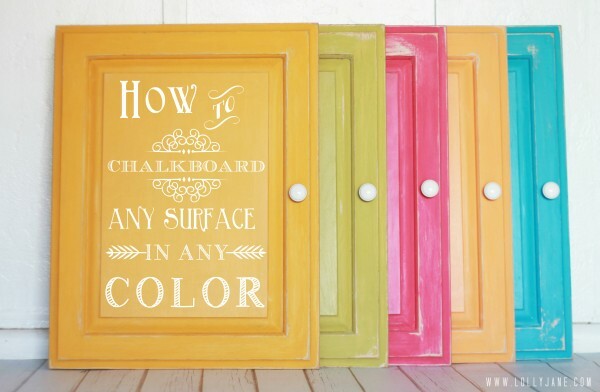 First things first, paint the inside of the cupboard door with chalkboard paint. We picked ours up at Home Depot. 3 coats and a day to cure and you’re good to go! 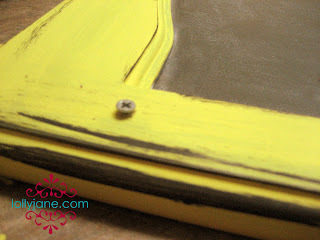 We painted the outsidea cheery yellow to match the bride-to-be’s main house color. 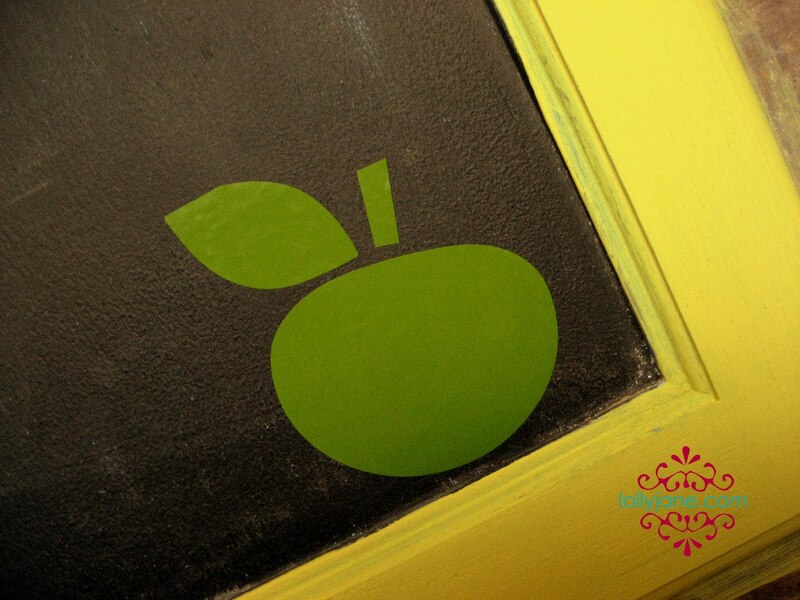 We added a fun green apple with our vinyl cutter to make it fun! 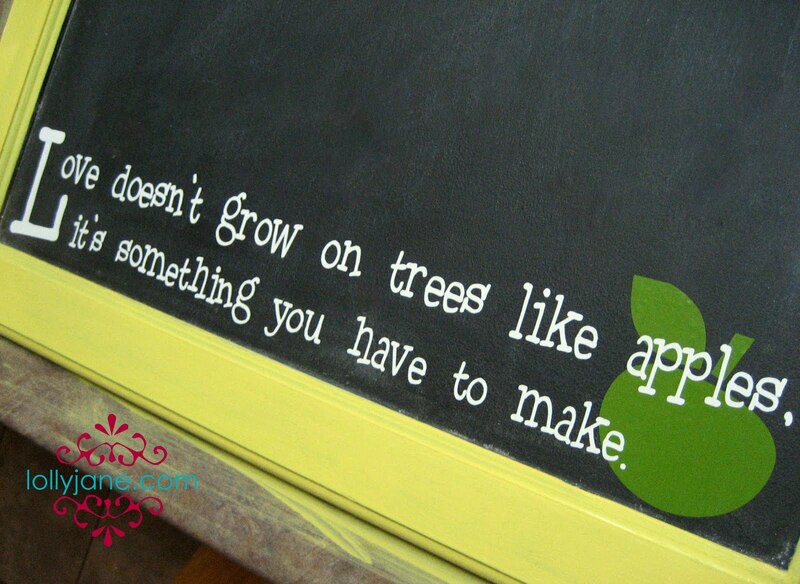 And thought this quote would be fitting for a wedding: Love doesn’t grow on trees like apples, it’s something you have to make. Next step is creating the bulletin board portion. We screwed a 1/2″ screw on either side of the top of the board then wrapped wire around the screws for the clothespins to hang from. Optional: You could tie ribbon as another option. 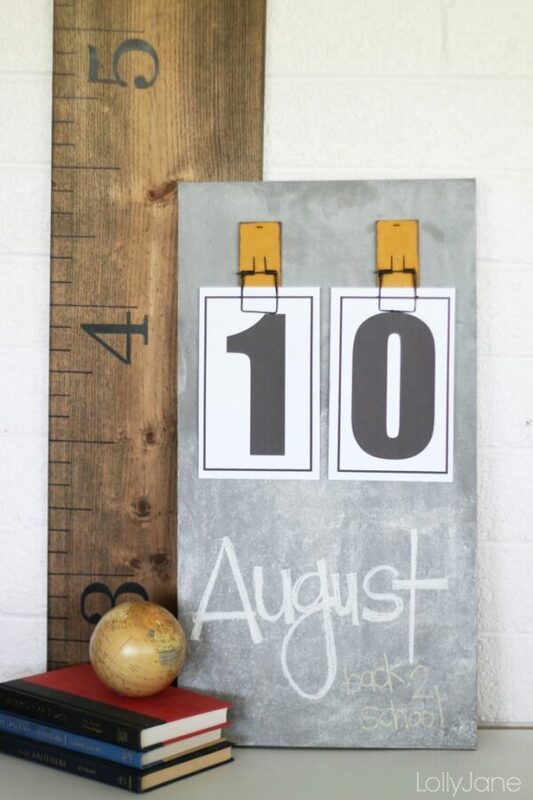 We scrawled a simple message in chalk, added some matching painted clothespins and you’re in business! This DIY vinyl chalkboard frame is a breeze to whip up! Oh so super cute! What a great gift! Adorable. 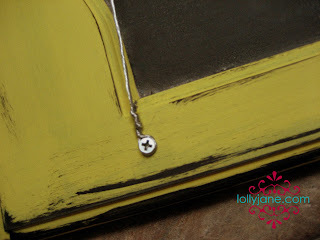 So simple to make too! so so so great… I just got back from lunch where I went to the recycle store in town and bought 2 cabinet doors… now I know what I'm going to do with them! Visiting from TTA. Really cute idea with the chalkboard! Following you. Please stop by for a visit. 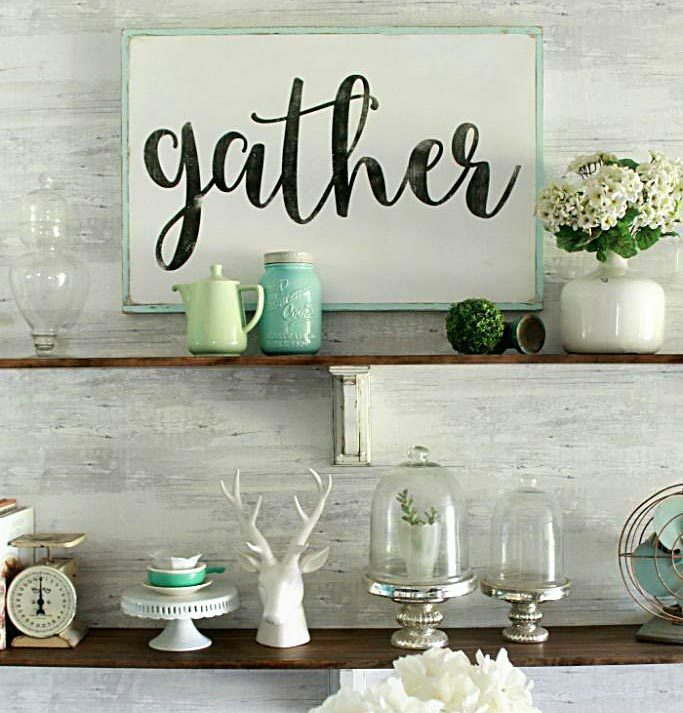 This is such a great idea – I love it!!! I love it! Great color! 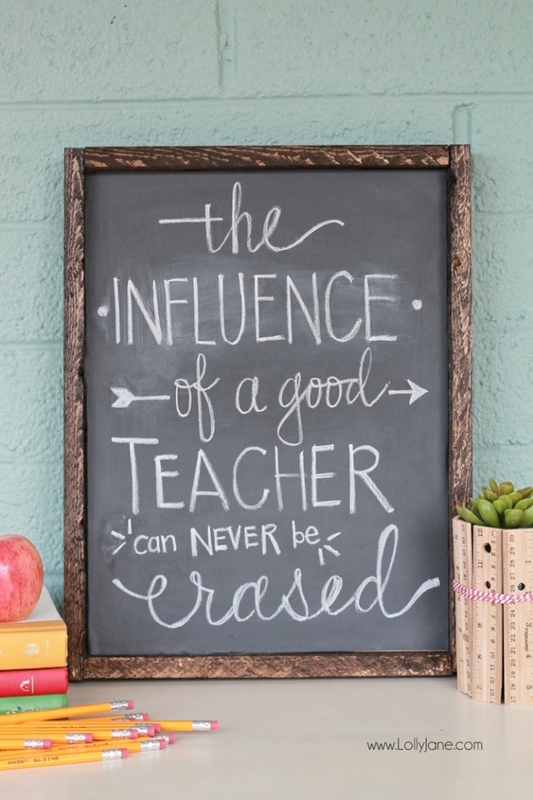 Thanks so much for sharing your chalkboard project with us at Anything Related! I'd love it if you would link up to my Friday link party! What a great twist to add the wire! It totally increases the functionality. Thanks for sharing!